Have you checked out the new clothing line from Sears? If not, let me introduce you to “Simply Styled”. This stylish yet affordable new clothing line has great options for everyone in the family. If you are a fan of classic clothing where everything can mix and match effortlessly, you will love Simply Styled by Sears. 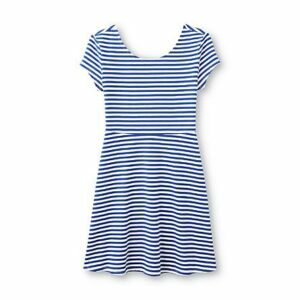 For a feminine look in a flattering silhouette, choose this women’s jersey knit skater dress from Simply Styled. Made from an ultra-soft and stretchy rayon blend, this dress is a modern choice in a solid color, delivering a slimming look that’s finished with a scoop neck, elbow sleeves and a swingy skirt. Available in four colors. 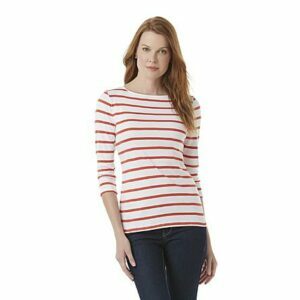 You’re chic from the shore to urban streets in this women’s Simply Styled striped boat neck top. The straight cut and long hem lend a relaxing fit to this tunic that’s perfect for casual comfort. Three-quarter sleeves add just the right coverage for versatile wear across seasons. Genuine cotton interlock knit adds natural softness and strength. Available in three colors. 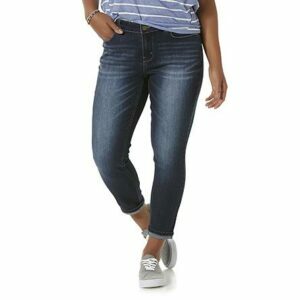 Get the latest trendy cut with these women’s girlfriend jeans by Simply Styled. Lightweight stretch denim is shaped to flatter, offering a curvy cut through the hip and thigh, and a skinny tapered leg ending just above the ankle. Well-placed fading keeps these jeans looking comfortably broken in. 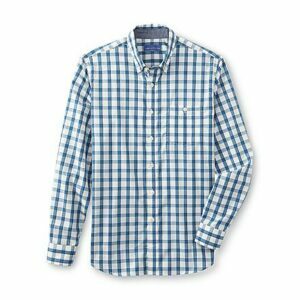 You like to stick with the classics, and this men’s plaid woven shirt from Simply Styled helps you achieve that timeless look. A button-down collar keeps your look crisp, while the round hem gives you a polished appearance even when you don’t tuck this shirt in. The lightweight cotton blend and short sleeves keep you comfortable in warm weather. Create the right casual look on any day of the week with this men’s striped polo shirt from Simply Styled. 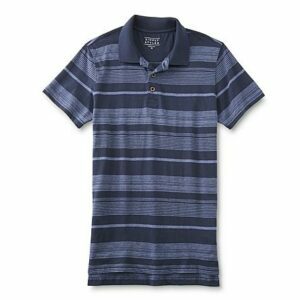 Featuring a modern stripe design and soft knit construction, this polo provides comfort with easy style. Short sleeves and a tennis tail hem finish it with a relaxed fit. 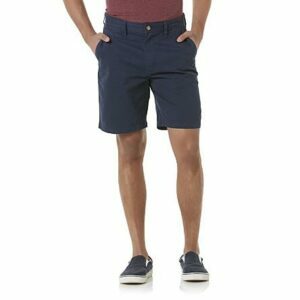 Keep your casual look clean and comfortable with these men’s flat front shorts from Simply Styled. This laid-back design has a creaseless front for a smooth and slimming profile. Enzyme treated for a softly washed finish, these shorts feature cotton twill that holds up to washing and wear. Available in four colors. For fashion with a fresh look, dress her in this girl’s skater dress from Simply Styled. Made from stretchy jersey knit, this striped dress is styled with a scoop neck, cap sleeves, a seamed waist and a twirl-ready flared skirt. For a fresh look in a style staple, dress her in these girl’s seamless leggings from Simply Styled. 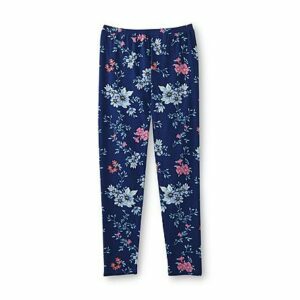 A soft and stretchy source of comfort, these floral-print leggings have a no-chafe design and are topped with an elastic waist and styled with a tapered leg, making dressing for the day an easy endeavor. 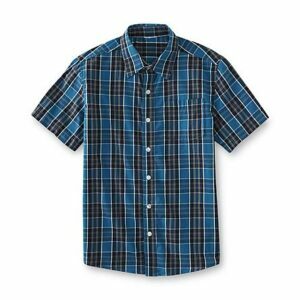 The classic boy’s short-sleeve shirt from Simply Styled gets revved up with a colorful plaid pattern. A point collar means he always looks neat in this traditional pocket design. The rounded hem gives him polish when he doesn’t tuck it in. A lightweight cotton blend keeps him comfortably dry in warm weather. The women’s Zori flip-flop by Simply Styled is made for easy wear with a casual style to match. 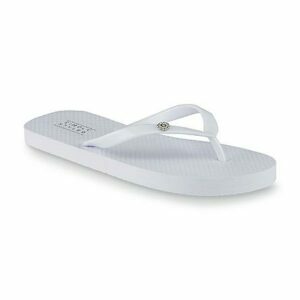 This thong sandal is designed in flexible foam with a textured insole and a grooved outsole for added slip resistance. A smooth plastic strap embellished with a rhinestone floral accent adds a sparkling finishing touch. Small = 5/6; Medium = 7/8; Large = 9/10; XLarge = 11/12.